PTCL recently launched Jadoo Box or Magic Box for its customers. 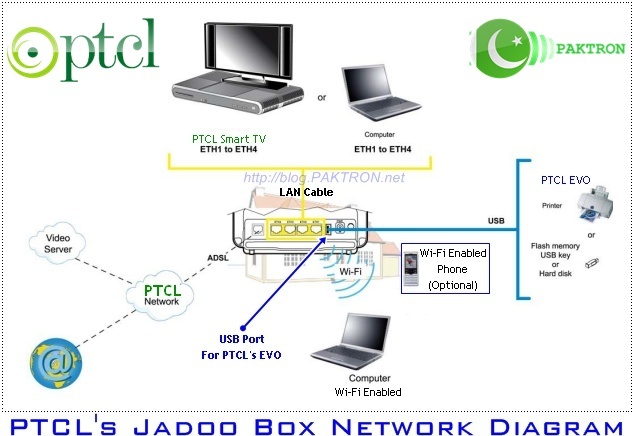 Jadoo Box is a multipurpose broadband network device which provides its user uninterrupted connectivity by using wired DSL as a primary connection while a wireless connectivity as a backup. This device has been designed to provide connectivity for PSTN, Broadband and Wireless Broadband. PTCL Jadoo box is developed by SAGEMCOM. 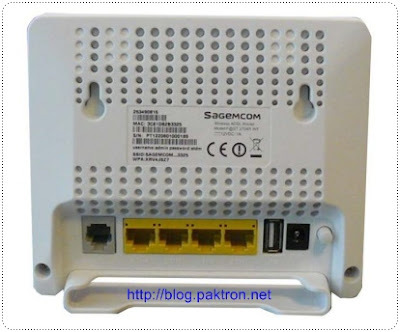 The original name and model of Jadoo Box is Sagemcom F@ST 2704R Router. The completes details including settings, installation and setup guide is given below. Sagemcom F@ST 2704R router gives its users broadband Internet access for their computer or their game console by various Ethernet (10 or 100 BASE-T) or Wi-Fi (IEEE 802.11n) interfaces via an ADSL / ADSL2 / ADSL2+ network. 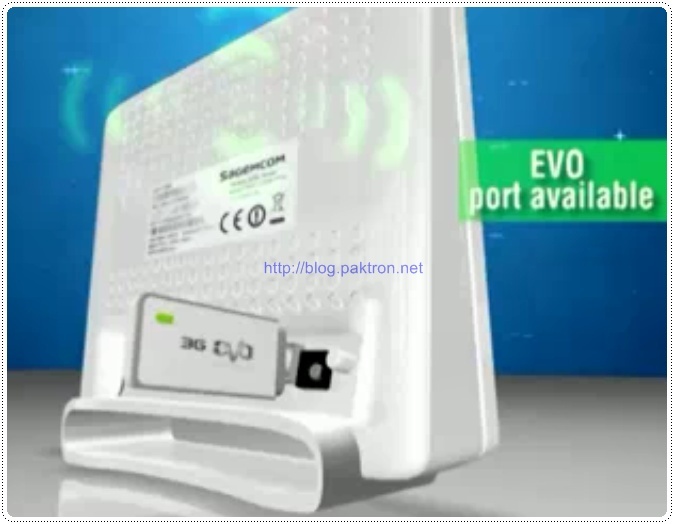 Using these interfaces, this router enables its users to surf the Internet and to watch IPTV. It also allows give phone calls over the Internet from an IP SIP telephone linked by Wi-Fi to your router. 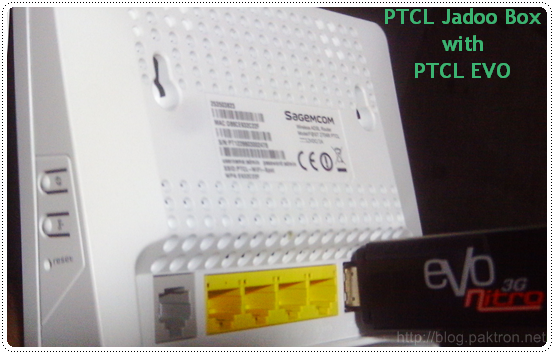 PTCL has its own technical support team for this purpose so you do not need to worry about it. If you still want to install it yourself then please refer to the provided Quick Installation guide, ask us (via comment box) or contact us. To configure your computer make sure that your computer is able to communicate with your router. Click on Start > Control Panel > Network Connections. Right-click the appropriate network, and then select Properties. The Local Area Connection Properties appears. 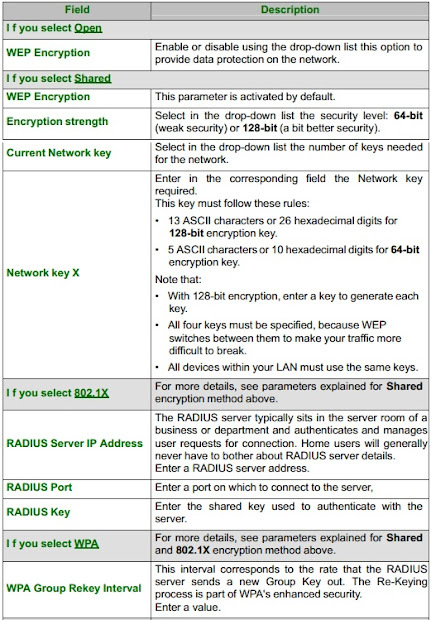 Select the protocol TCP/IP of the network card, and then click the Properties button. The screen Internet Protocol (TCP/IP) Properties appears. 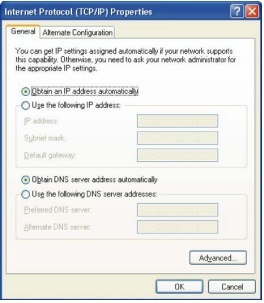 Select the General tab, then the case "Obtain an IP address automatically" and the case "Obtain DNS Server address automatically. Click the OK button to confirm your choice. Now access your Jadoo Box by entering the router's IP address (http://192.168.1.1) in the browser address bar. From the welcome screen, select Management then Advanced. Select Advanced Setup menu, then select the LAN menu. Enter the following settings. Now goto Configuration then Internet menu. Visit this page for PTCL Internet Settings and enter the values. For Wi-Fi Settings goto Configuration the WLAN menu. 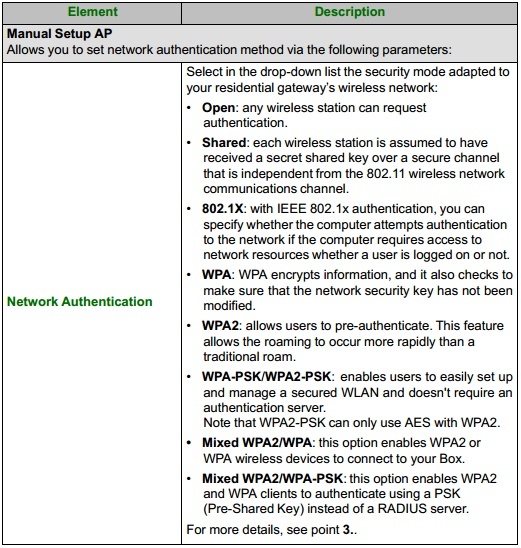 Set the Wireless basic parameters of the wireless LAN interface. Select in the drop-down list the Network Authentication required. Click on the [Apply/Save] button to save the settings. Monthly Charges for 6 Mbps and above will remain the same. All standard DSL Modem policies will be applicable. EVO device will not be provided with the Package. Customer will use his existing EVO or buy a new one separately. For all 2 Mbps and above new connections Rs. 500 extra will be charged one time in addition to the Installation charges. Rs. 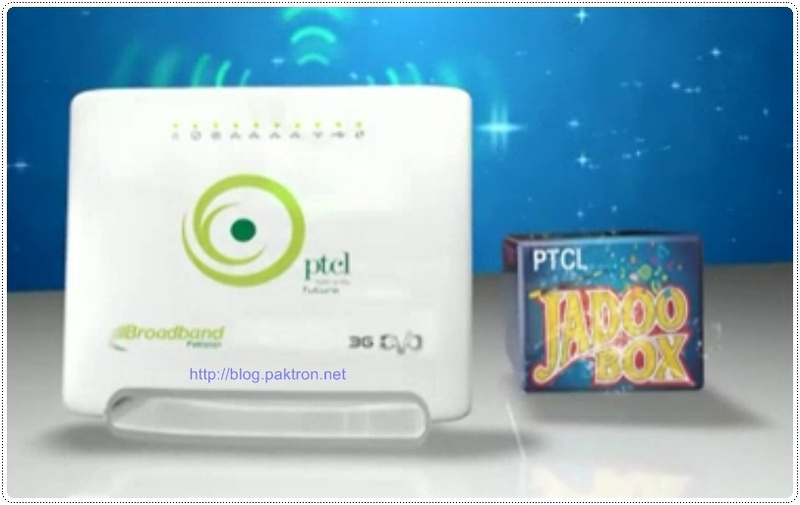 1,000 extra will be charged in case customer wants Jadoo Box in place of the normal DSL Wifi Modem. This multipurpose device is good in providing uninterrupted internet connectivity. 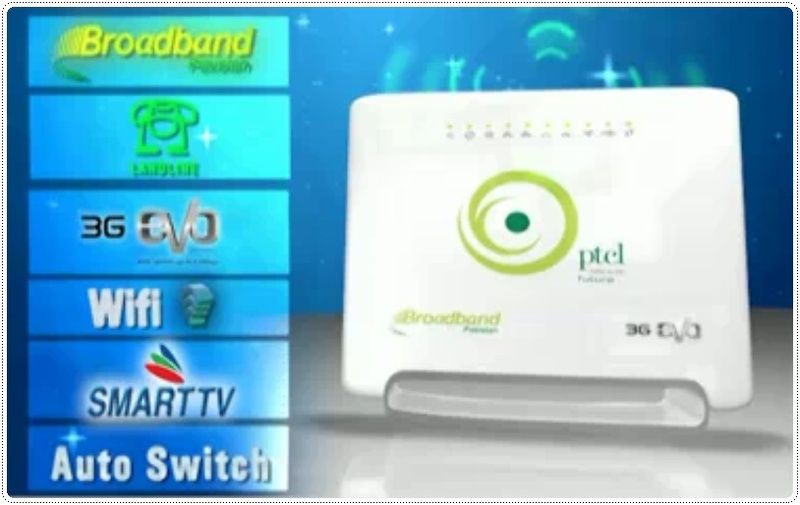 2010 - 2018 Paktron Pakistan. Powered by Blogger.